What Systems Will Be There? Though quickly surpassed by other systems, the Atari 2600 was a amazing when it was first released, and remained a popular system for many years. Most people who grew up in the early 1980s (as kids or teens) remember Atari. If you didn't have one, you had a friend who did. Extremely popular titles include Space Invaders and Pitfall!. Numerous people who designed the 2600 went on to work on the Atari 800 and Commodore Amiga computers and the Atari Lynx handheld game system. The computer system I (Bill Kendrick) grew up with and programmed for decades. The platform turns 30 years old this year, and people are still programming amazing games for it (such as Crownland, which looks like it belongs on the 16-bit Super Nintendo, and Yoomp!). Amazing games were available from the beginning, with Star Raiders (also from 1979) and later titles such as Alternate Reality, Rescue on Fractulus. Also an amazing learning tool, with art software, science lab software and hardware, a star charting program, and a variety of programming languages. Like many home computers at the time, there were productivity applications: word processors, scientific calculators, finance software, BBS and data service connectivity applications, and more. 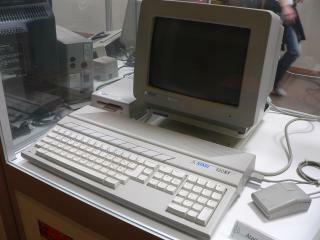 The Atari ST line was Atari's 16- and 32-bit platform with a graphical user interface. Popular in business and CAD use, it was most well-known as for it's MIDI support, and was used by the likes of Fat Boy Slim and Tangerine Dream. The Lynx came out the same year as the Gameboy, but was incredibly more powerful. It was the first handheld game system with color graphics (at a time when Gameboy had 4 shades of grey, the Lynx had 4096 colors). It included hardware-scaling sprites, stereo sound (in the 2nd model), and could easily play digitized speech. Up to 17 Lynxes can be connected to play multiplayer games. 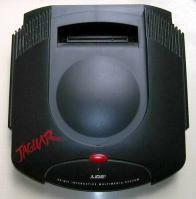 The Jaguar, with its claims to be the first "64-bit" game system (at a time when 16-bit systems like the Super Nintendo were out), turned out to be a horrible commercial failure. However, there are a number of great titles for it, such as the psychadelic Tempest 2000. The CD drive attachment also included a music visualization system (also psychadelic, and by the same person who wrote T2K).